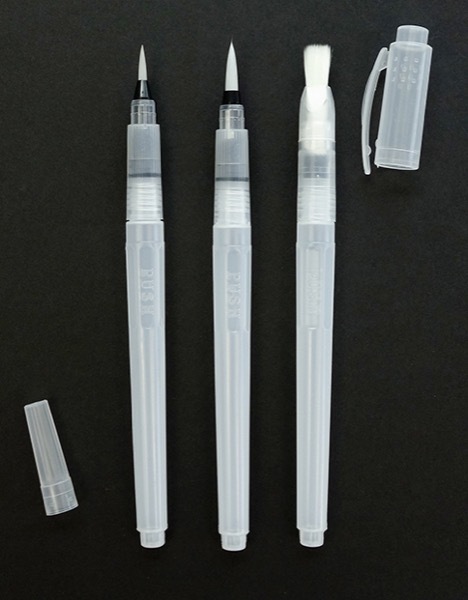 This economical version of the original Waterbrush comes in three sizes (3mm round, 5mm round, and 8mm flat) for a variety of creative strokes. The durable nylon heads keep a sharp point, and the watertight handle holds lots of water. Suitable for us with water-soluble paints, pencils, and inks. Each brush is 7¼" long from tip to end (including the cap). Packaged in a reusable carry pouch.